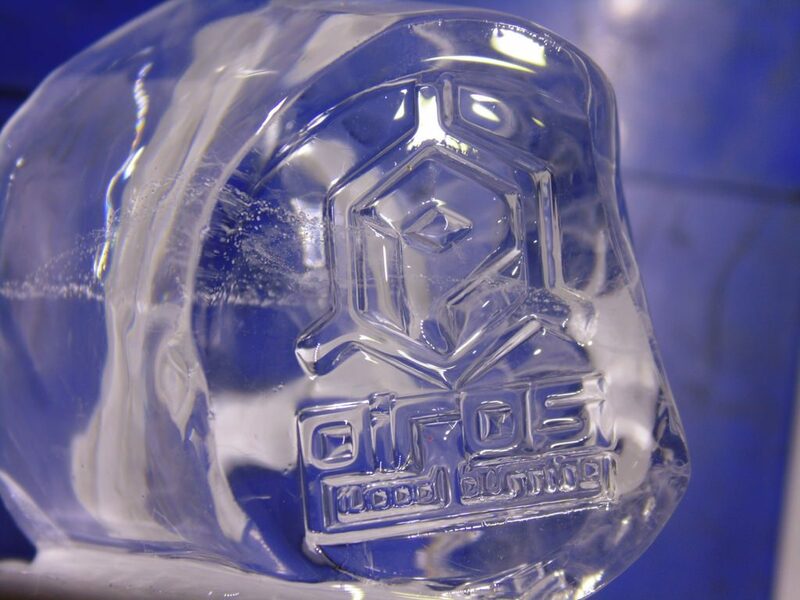 Prints in high relief, Woodburning seals also make ice. 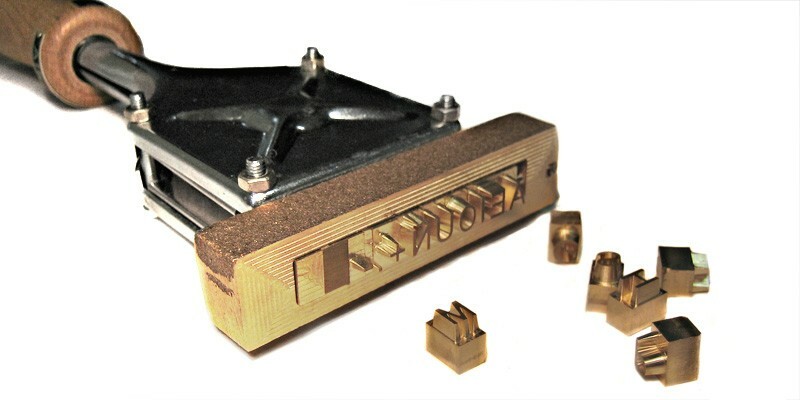 Simply subject the stamp firmly on the block or piece of ice, and the own specific heat of metal will make your brand from sinking on the ice without applying heat or pressure. The IPPC certificate or phytosanitary standard ISPM No. 15 identifies the origin of the wood and the type of treatment applied for disinfection. Also can indicate the date of the making, required in multiple countries. The date is can modify through the change of those numbers or characters interchangeable, for form the date required in each moment. 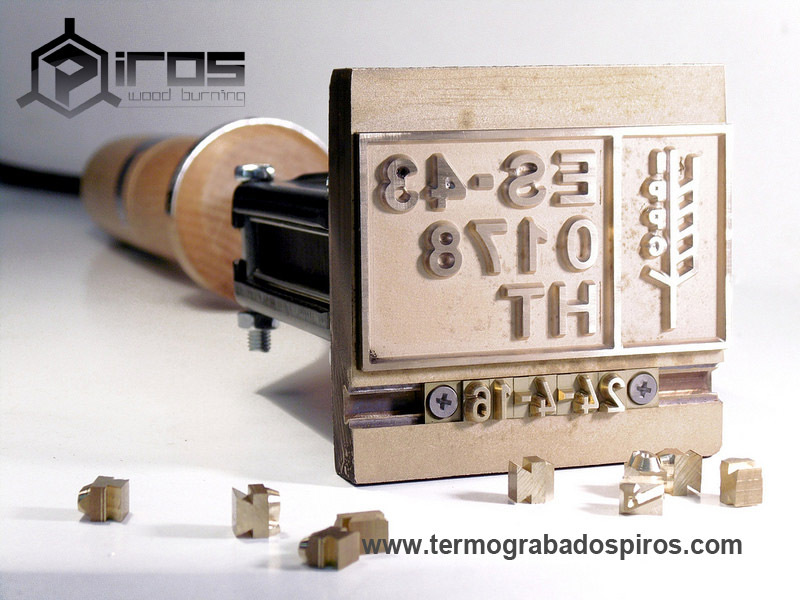 You can Piros manufactures electrical Woodburning IPPC seal or sealing for the ispm15 date stamping, wood which joined Woodburning or pyroengraving, manual electric machine allows marking of wood quick and indelible way with the IPPC code assigned to your company with the production date. All types of packagings of wood, pallets or other wood products can be marked with this label. Seal of stainless steel for branding food. 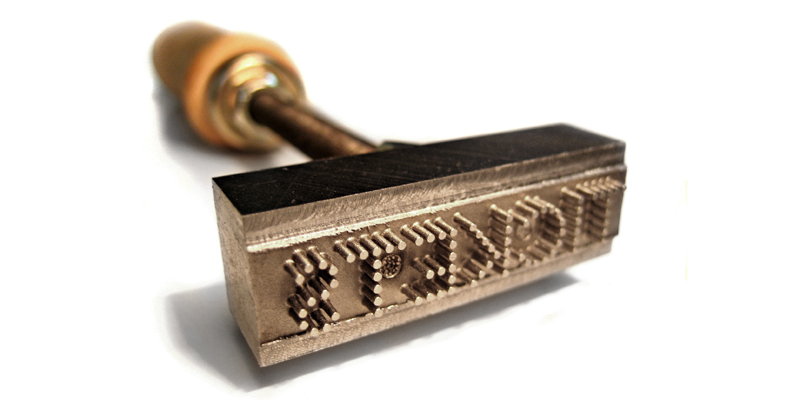 This sample of branding iron is done with cylinders of steel of 1 mm of diameter and allows a low relief important. Used on food to mark the corporate identity of the "TICKETS restaurant " from Ferran Adrià in Barcelona. 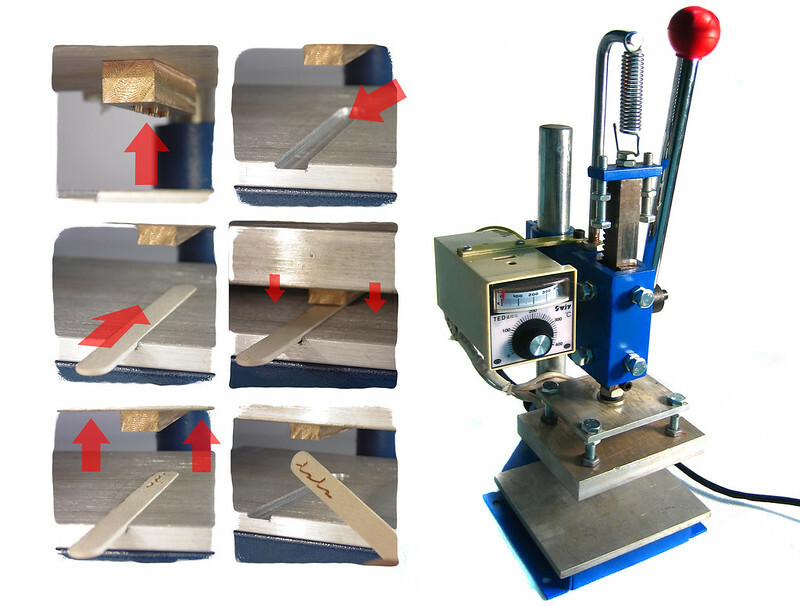 Can Piros makes stamps for marking to fire or with machine of Woodburning, with characters interchangeable.